Today I wore a monochrome outfit, so I thought i'd switch up my photo editing a little and turn my images black and white. I think gives a more grungy vibe to my outfit since I can alter the colours more boldly when it's in monochrome. The only thing new in my look is my sunglasses which are actually tinted blue and they look amazing on! 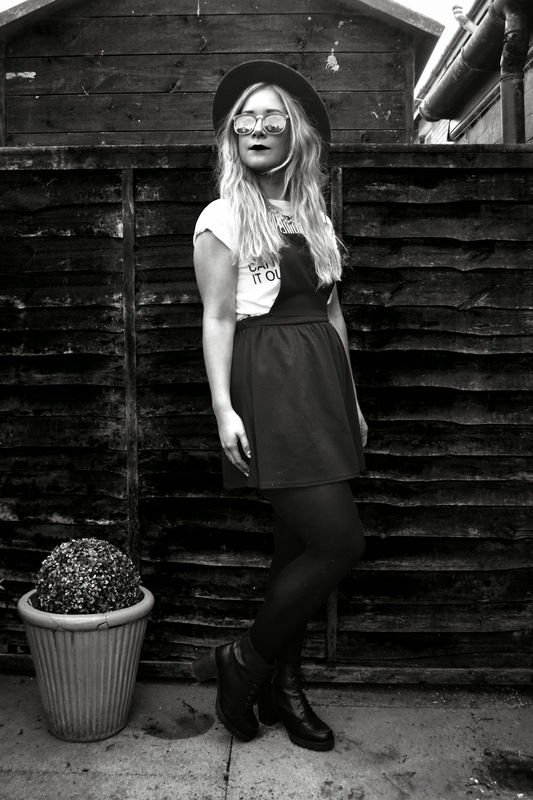 I wore them with my Dungaree Dress, statement spike necklace from H&M and a Beatles Tee. 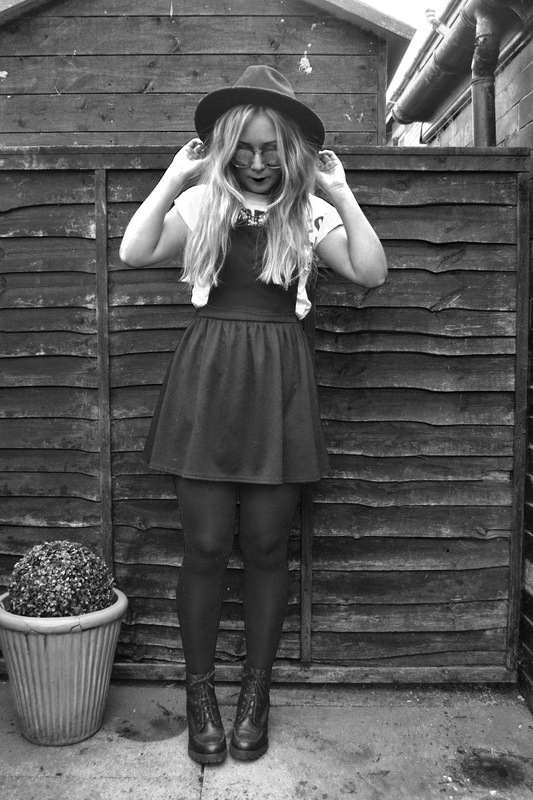 I'm in love with Violet E's Blog (Take a look here) and have been taking inspiration from her style recently. 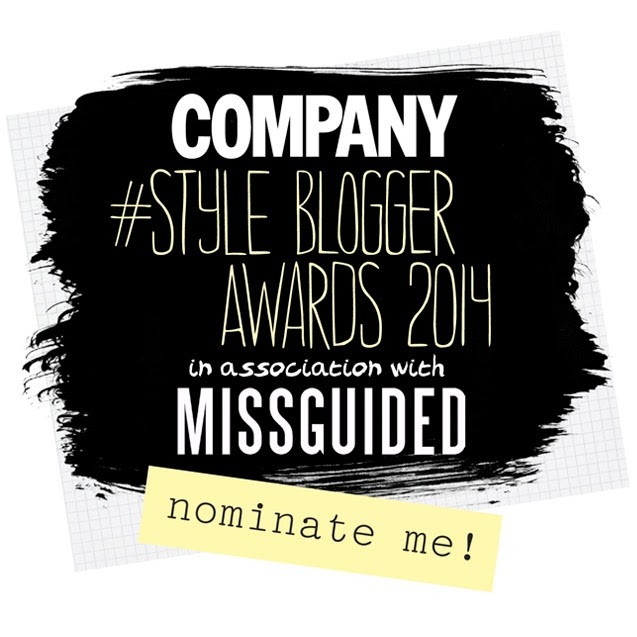 Also, don't forget to vote for me as 'Best Personal Style Blog Newcomer' at Company Magazine's Style Awards 2014. I would really appreciate the support and only takes a few seconds I promise! Please follow this link or click on the logo on my sidebar to vote. thankyou for the lovely comment's on my blog emma! :) these photo's are gorgeous - love the black and white theme! 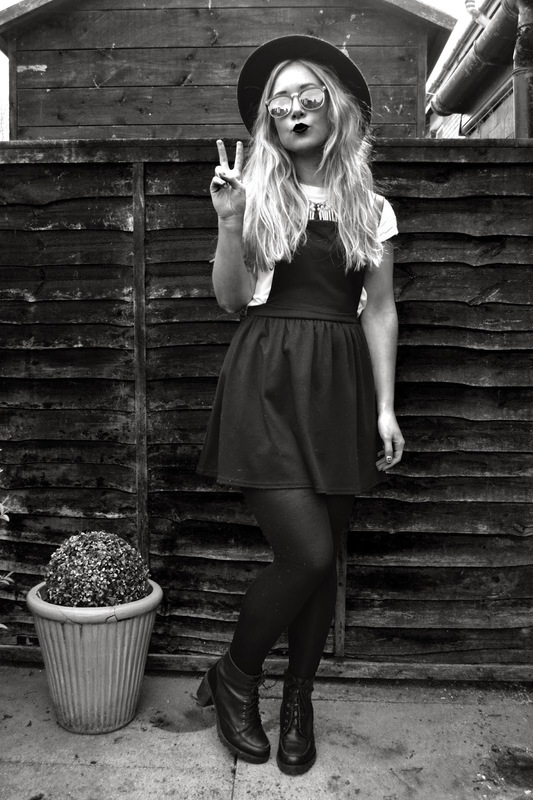 so glad i discovered your blog, love your photos and your outfits! 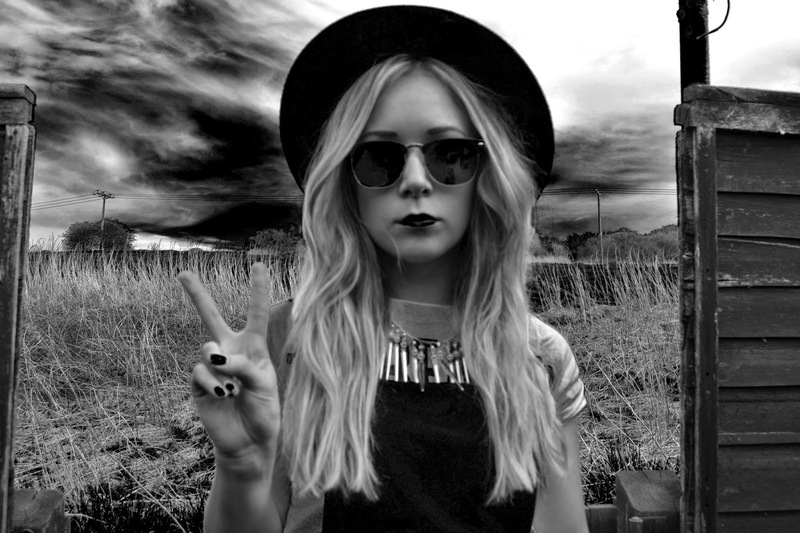 now following on bloglovin. 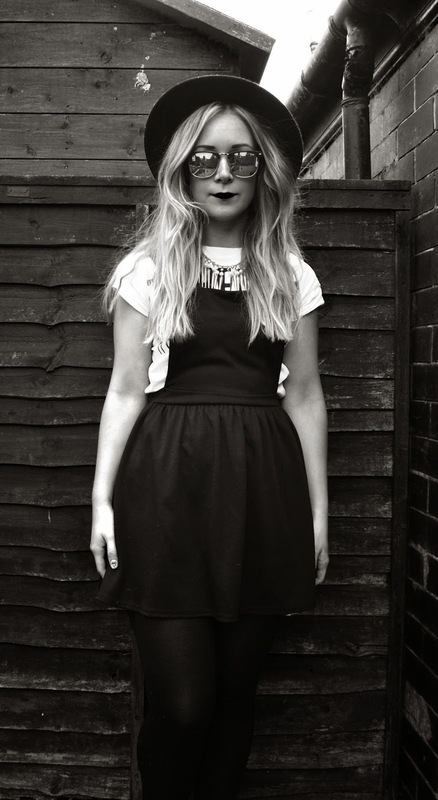 would love if you have minute to nominate mine for 'Best Fashion Blog - Newcomer' if you would like to! Those pictures look so lovely, the editing looks great! love this outfit! voted for you at the company awards!